Parkway Ridge Dental Warren G. Hoffman D.D.S. 6010 N. Lockwood Ridge Rd. Sarasota's premier family, restorative, and cosmetic dentist. Consultations & Second Opinions are Always Free! 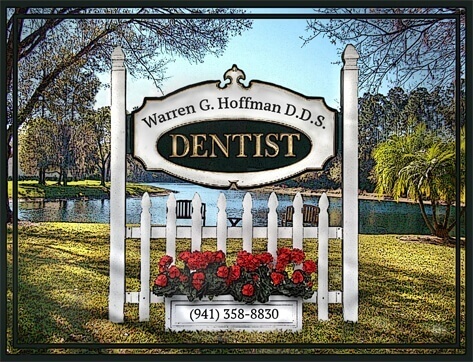 Dr. Hoffman specializes in quality dental care your family can depend on. We can help you achieve the bright, beautiful smile that you deserve. Celebrating over 30 years of non-corporate, privately owned and operated dental practice. Our patients appreciate the compassionate and consistently excellent dental care they receive from the same solid team of professionals that know them by name and remember them well - from their individual needs, to their interests, and hobbies. 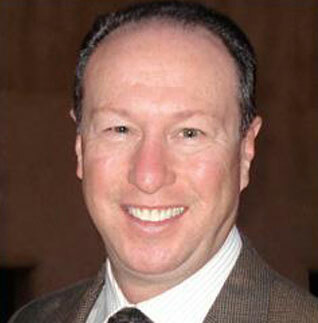 Dr. Warren G. Hoffman and all of us here at Parkway Ridge Dental provides quality care customized to your own needs. We offer a wide range of preventive, cosmetic, and restorative dentistry, including gentle root canals, crowns, non-mercury natural colored fillings, and emergency dental care. We are committed to helping you achieve optimal oral health and maintain a confident smile. We believe that you'll be pleased to know that for your comfort and peace of mind, Parkway Ridge Dental only uses digital x-ray units, which reduce radiation exposure by 80%. In addition, and available to you, our office is proudly equipped with the latest technologies in dental care, such as our laser cavity detector, that can help identify decay in its earliest stages. Our intraoral and advanced zoom lens cameras take detailed photographs of your teeth, which we can refer to on screen, during your visits. Patients will always receive courteous and reassuring attention; this includes an open and relaxed forum where you can express your needs and have your questions answered. We find that this approach naturally encourages you to become an active partner in all of our treatment and maintenance efforts made that help you achieve sustainable and optimal oral health. Our job is to give you and those you love, our professional and personalized recommendations, to honor your trust, and to provide the gentle and experienced care that you deserve. To comfort and to heal. & Dental Emergencies are Always Welcome! We will work together to address your oral health, comfort, function, and your aesthetic concerns. Call Parkway Ridge Dental today to schedule an appointment with Dr. Hoffman and our team. Our office, conveniently located on N. Lockwood Ridge Rd. at University Parkway, provides dental care to patients from the surrounding areas of Sarasota, Bradenton, University Park and Lakewood Ranch. We Make People Smile For a Living! & Teeth Cleaning Click Here All Special Offers Click Here Locate Us Click Here Questions?